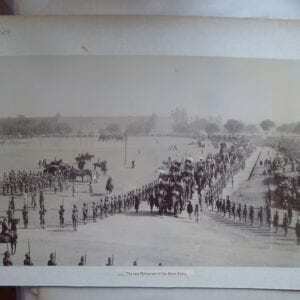 Coronation Durbar, Delhi 1912. 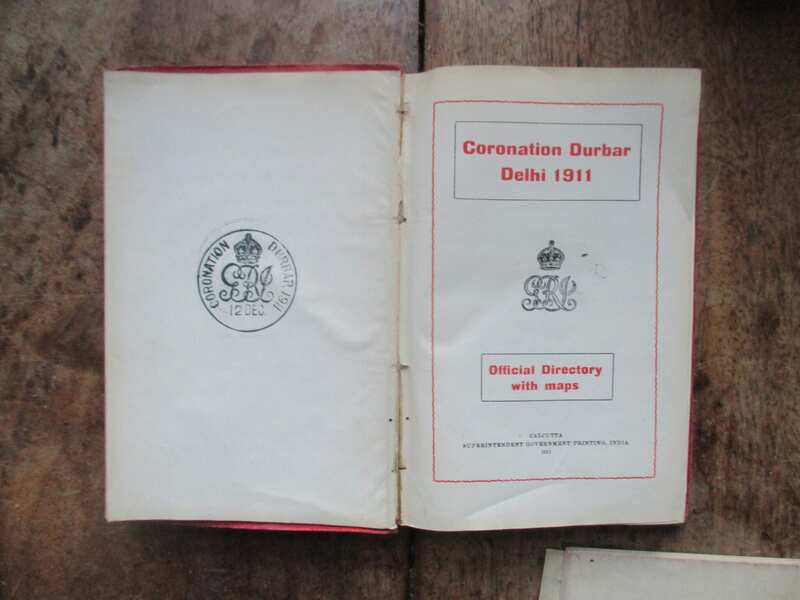 An Original example of the Official Programme and Directory. 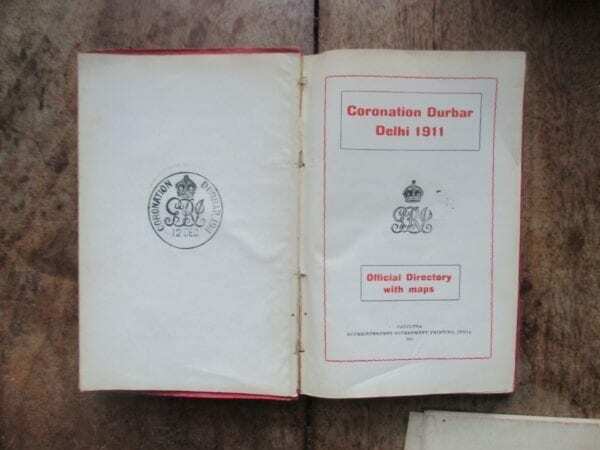 The directory is 12mo in size [6.25 x 4 ins] and was published by Superintendent Government Printing [Calcutta] 1911. 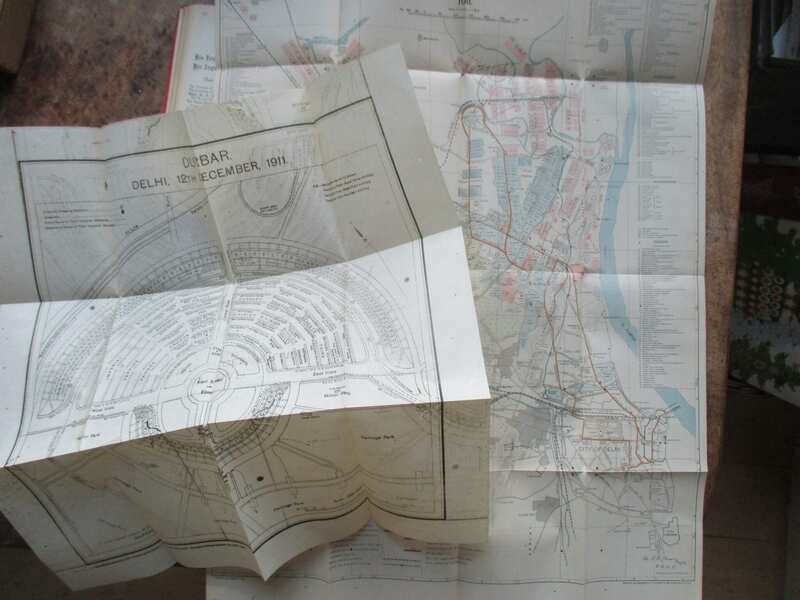 Large coloured folding plan of Durbar site on scale of 2 inches to 1 mile, folding plan of Durbar 12th December 1911 in rear pocket [these both have some small worm holes but are usable], vi.388pp. 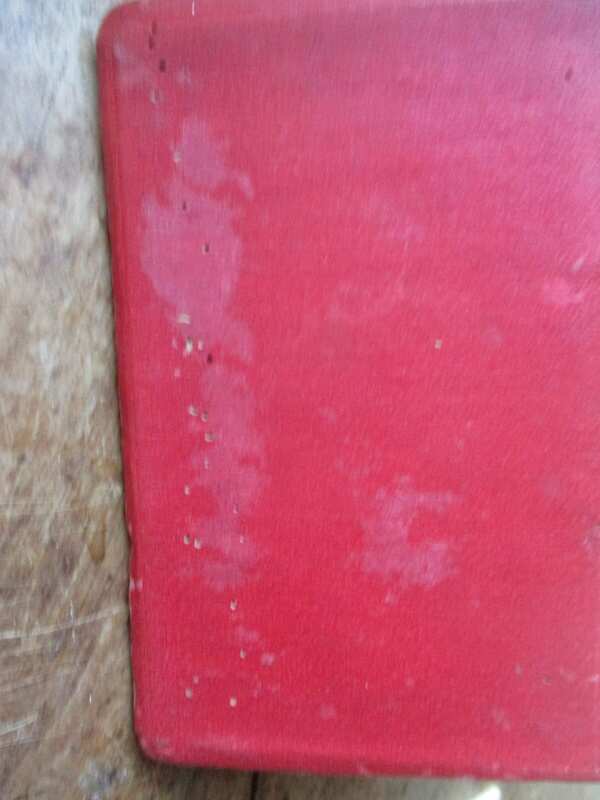 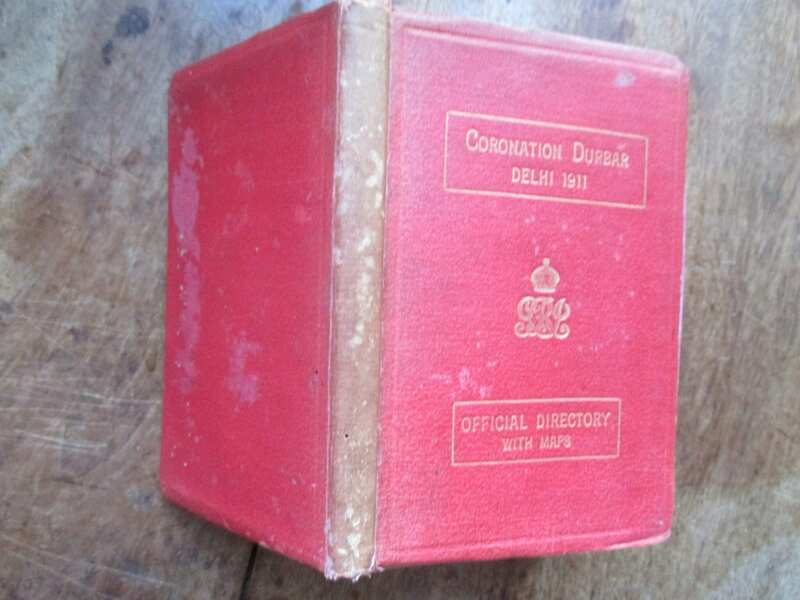 Original red cloth gilt, front cover gilt blocked with title and royal cypher beneath crown, boards faded, some worm holes to rear board and spine worn but a perfectly sound working copy, rear hinge split along endpaper but holding well on the tapes, circular stamp of the official Durbar post office dated 12th Dec [Durbar Day] on the blank facing the title page. 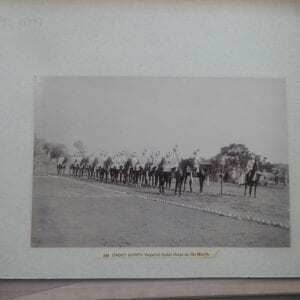 This invaluable, fully indexed work contains the following chapters: Proclamation, Programme of State Ceremonies, State Entry, Reception of Ruling Chiefs, Unveiling of King Edward Memorial, Military Church Parade, Presentation of Colours, The Durbar, The State Reception, Presentation of Volunteer and Indian Officers, State Garden Party, Review, Investiture, Review of Police, Departure of Their Imperial Majesties, Sports, Games, etc., Administration, Miscellaneous Information. 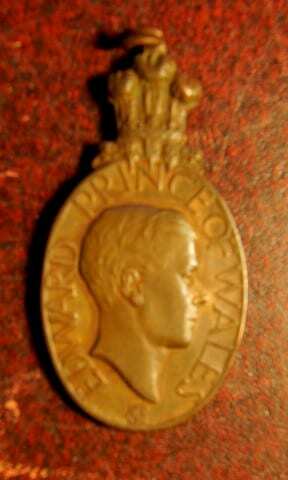 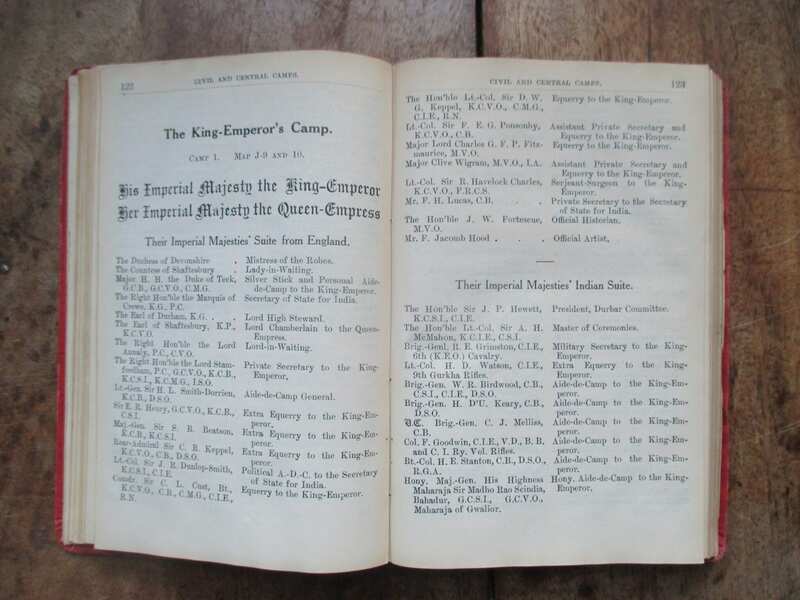 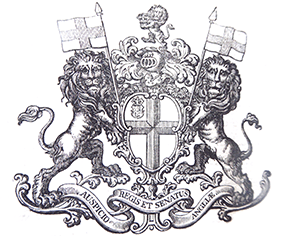 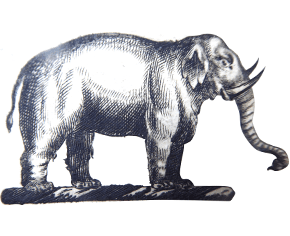 Lists include members of the various camps, officers of regiments involved, suites of Indian Princes. 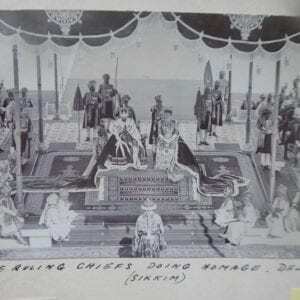 The Durbar, a huge feat of organisation, probably represents the high point of the British Raj in India. This copy does have the increasingly hard to find original maps despite their less than perfect condition.